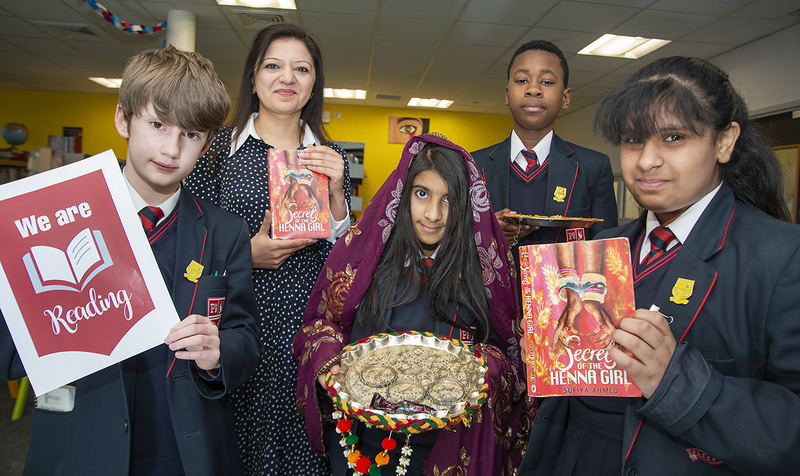 Pleckgate High School students were inspired by Sufiya Ahmed, the award-winning author of ‘Secrets of the Henna Girl’ when she made her fourth visit to the school. Sufiya was born in India, before moving to Bolton and she now lives in London as a full-time author, her dream job. Sufiya used to work at the Houses of Parliament and started the BIBA Foundation, a non-profit organisation which organises trips to the Houses of Parliament for diverse and under-privileged school children. Sufiya’s popular book ‘Secrets of The Henna Girl’ is about a teenage girl who goes to Pakistan from England and finds out she has an arranged marriage. She has also just completed two picture books for primary school children and contributed to the bestseller ‘It’s Not About The Burqa’ a series of essays, where 17 Muslim women speak about their faith, about feminism, love and divorce and more. 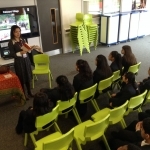 Sufiya shared with the children her incredible yet challenging journey of becoming an award winning author, read an extract from her best-selling book and some of the children even had a chance to re-enact the colourful engagement ceremony scene from the book. 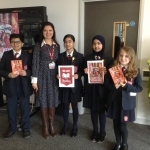 Sufiya also held a creative writing workshop to inspire students to read more as part of #WeAreReading, a Lancashire County Council initiative. 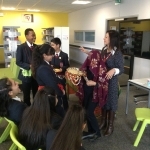 In this workshop pupils had to develop an alternative plot for Secrets of the Henna Girl using any genre they wanted. They initially completed a character worksheet and then learnt how to construct a full short story. Sufiya has ignited a spark in these young minds, many of whom are now aspiring young authors of the future. Librarian Joanna Jones said: “At Pleckgate we encourage all of our students to read for pleasure. Having an acclaimed author visit to work with our children is inspirational for all involved.